And recently, I pounced on the collection and reviewing old mismatched sleeves, seriously pondered to create from them something like that, that would always be with me. 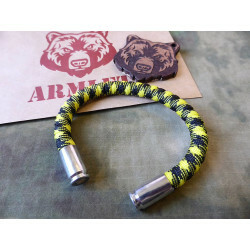 For example, a bracelet: a simple but stylish, which could harmoniously fit into my everyday image. And when I found the necessary materials and created a unique of its kind bracelet sleeves, I just could not part with it. I had a feeling like this bracelet has always been on my arm. At the same time, he began to attract the attention of my friends and acquaintances. 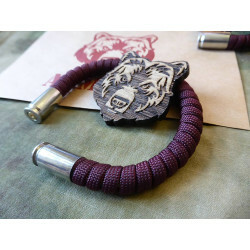 And once they know that the bracelet - is completely handmade, and not just another trinket of the accessories store, they began trying to persuade me to do the same for them. 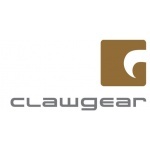 That's how I came to the idea of creating his own brand, which soon became known Armlet. 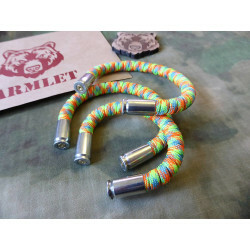 These unique bracelets performed manually, and this is their uniqueness"
The materials making up a bracelet / Bracelets - a handmade bracelet, which is made specifically for fans of military subjects, of the band includes Paracord 550 and two Bullets 9x19 Luger.